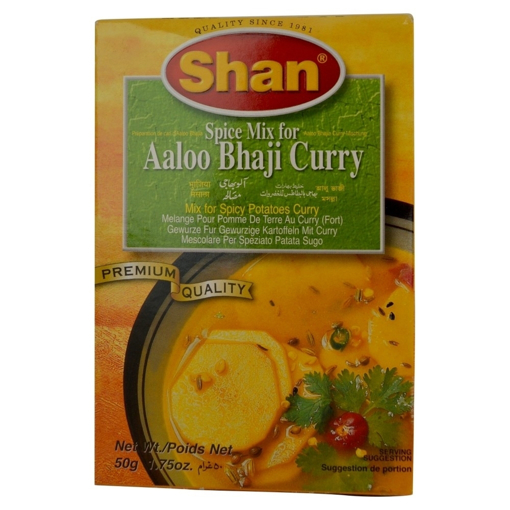 This easy to prepare Shan Aaloo Bhaji Mix is great for spicy potatoes curry. Simply follow the recipe provided on the back of the box for a delicious Chanay Ki Bhajimeal dish that your whole family will enjoy! Garnish with Shan Chana Chaat Masala and lemon juice.